. : Omega Skincare :. : About Us :. At Omega Skincare, we believe that the best products for natural beauty come from, well, nature of course! We seek out the best raw materials and only offer products that have been tested to ensure we can back up our promise to offer a new, all-natural beauty experience. We feel that it's important that we offer only the best quality components in our beauty experience to give the best quality to you. Above all, we won't want you to put anything on your face or body that we won't put on ours. Founded in 2009, we began our quest to promote healthy beauty alternatives without an official name. Meanwhile, we worked on our creations, tested our formulas, developed other products and came up with the idea of offering only natural beauty goods. 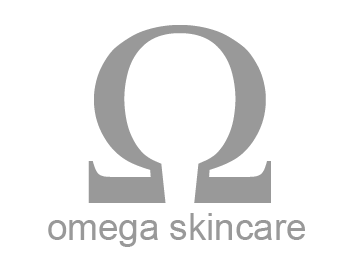 So we merged our four cornerstone values together with simplicity and Omega Skincare was born. We're guided by the cornerstone values in every aspect of our business, offerings and culture. We have four core values that we use to measure ourselves and our offerings. We feel it's essential to have all of these components. These four values encompass every facet of our offerings and our culture. The four values are quality, commitment, service and green. Ingredients are the first step to us. It's a natural conclusion that if you use the best quality ingredients, you end up with the best quality creations. Quality products bring quality results. Everything we offer is from plant and natural mineral sources. We only do business with Fair Trade companies and USDA organic material providers. We prefer to use minimally processed or unprocessed, raw materials and keep our testing standards high. Big stance for a small company? We believe in leading by example in regards to quality. The idea of commitment is essential, we commit to upholding our values to the absolute best of our ability, each time, every time. Whether you're exploring natural avenues of beauty or a long time client, we feel that our commitment to our values will keep you returning to us, year after year for your needs. Also, let us know how we're doing! We love to hear from you! If you want to share with us your success stories, feedback or anything else, just send us a message or call! Our feelings on what service really means is very much like our passion in being green, our commitment to our clients and our dedication to quality in everything we achieve. Simply put, only the best will do. To us, Green is not just recyclable and/or reusable packaging with biodegradable products, but to create and offer truly useful, valuable goods. We don't create products just to line our pockets and fill your medicine cabinets, we feel that this approach is exactly why there are too many surplus products that just don't work. We feel that being truly Green is cutting away the unnecessary fluff and focusing on what works. We feel that we get back to basics with our approach to products and development. All mineral, herbal and material providers are USDA National Organic Program accreded. We only do business with Fair Trade and USDA accredited businesses. We feel that we cannot offer a product as organic or natural without truly being these things. Fair Trade Certification empowers farmers and farm workers to lift themselves out of poverty by investing in their farms and communities, protecting the environment, and developing the business skills necessary to compete in the global marketplace. At Omega Skincare, we believe that the best products for natural beauty come from, well, nature of course! We seek out the best raw materials and only offer products that have been tested to ensure we can back up our promise to offer a new, all-natural beauty experience. We feel that it's important that we offer only the best quality components in our beauty experience to give the best quality to you. Above all, we won't want you to put anything on your face or body that we won't put on ours. Clay is great for skin, but it's important to know what kind of clay is right for you. It's best to start with our White clay since our White clay does not draw any of the oils from skin. This is out most gentle clay good for all skin types. This clay combines easily with water and can be easily applied. Our French Green clay is perfect for rejuvenation and our Moroccan Red is ideal for detoxifying and general skin health. Bentonite is best for oily skin and the Illuminating clay is superb at smoothing out skin tone. All of our fine clays are in powder form since we feel that premixing only adds unecessary water weight and preservatives. Mix the clay to the consistency you like! Going green and staying green has been a snap for us at Omega Skincare. At this time we are accepting correspondance by email since we want to make sure we reach every person. We will either email or call you back, whichever your preference! Please remember to include your name, business name and a number or a way to contact you!